Now that summer is here; the Maggs allotment is a hive of activity. 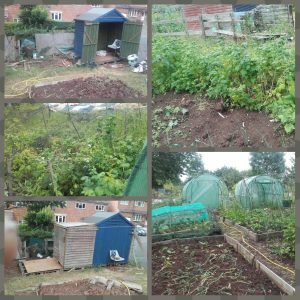 The project is now in its 7th season, and each year grows a range of fruit and vegetables that are utilised within the cookery classes at the annexe. A group session runs every Sunday under the watchful eye of Chief Executive Mel Kirk. Today, I sat down with Matt and had a chat about what he enjoys about the project and where he feels it going. So Matt, how long have you been involved in the allotment? Very early days for you then, have you done anything like this before? Kind of, I did qualifications in it when I was younger, although I still found myself asking ‘what’s this plant?’ all the time. I had forgotten so much as I have not had the chance to grow anything as my life went another way. It sounds like it is refreshing your skills a bit. What else do you get from it? Something to do, which is important in fact since I have been coming to Maggs over the last month I have used my brain more than ever. I enjoy it too; I find it peaceful up there. Living on the streets, it is nice to have somewhere away from the main town to go sometimes, where I can just do a few bits away from people. I have been going up to water over the hot weather; it was refreshing to have some spray flying back at me. I never appreciated how hard it would be to cool down, you always worry about the cold and homeless. Overall, I think it is therapeutic, somewhere to work through my thoughts while I am busy doing something. I see the difference that is coming from my efforts already. I unearthed a couple of cauliflowers that were crowded in by other plants last week, cleared around them, and already they are starting to get bigger. It is kind of like, looking after children, as it needs to be fed and watered and taken care of else it will just grow wild. So, I hear that you have big plans for the space? I am not sure I would call it that. Although it is in need of a tidy-up to try and make it more productive. A lot of what we have is a bit tired now, and the clay soil makes it very hard to grow some things. I was intrigued by a fellow allotment holder the other day who had built up above the clay, using carpet and compost. It will be slow progress, but hopefully, I can get a small patch sorted ready for the winter crops. Just a couple of light hearted questions to finish us off, what’s your favourite vegetable to eat? Potatoes, especially baked with plenty of butter. And what’s your favourite to grow? Tomatoes, the smell as you water them is great. I wish I could bottle it. 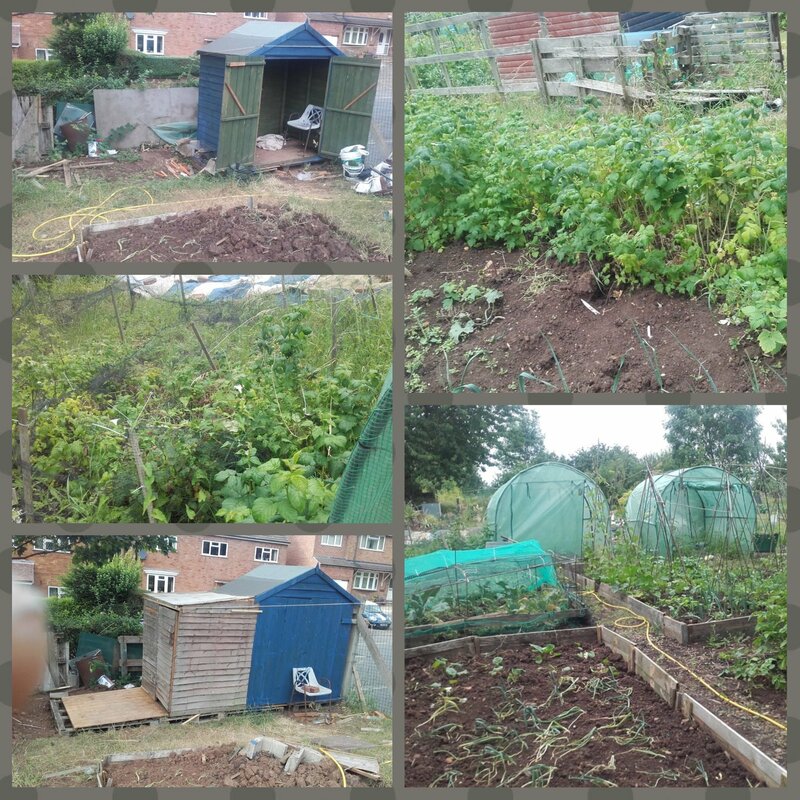 Can you help us continue the fantastic work we do at the allotment? Have you got any spare supplies or tools that are gathering dust or getting in the way? Do you happen to have an old shed or greenhouse that you are looking to get rid of, that we may be able to utilise? If the answer to any of these is yes, then please get in touch.